There’s a knock at your door. You open it, only to find several grave-looking police officers accusing you of a crime you didn’t commit. They pull out records of your most recent phone calls and tie you to your alleged co-conspirator, and now you’re screwed. This is Ethiopia. According to a recent Human Rights Watch (HRW) report, Ethiopian surveillance of phones and emails is rampant. Eskinder Nega, a journalist and dissident blogger, reports being shown emails, text messages, and phone recordings when approached by Ethiopian police who were investigating him. 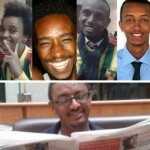 Nega’s newspaper,Ethiopis, was shut down for being critical of the Ethiopian government’s abuses in freedom of expression and freedom of the press. Nega was sentenced to 18 years in prison for allegedly conspiring against the government in July of 2012. Ethiopia, despite a dreadful history of human rights abuses, is a key African ally of the United States. But even American citizens with relations to Ethiopia are not safe from the surveillance program. 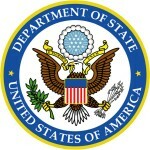 The report highlights a US citizen by the name of “Kidane,” who runs technical support for Ethiopian diaspora groups, who found that his computer had been infected with spyware that was recording his Skype calls, emails, and web searches. Wong claims the surveillance is used during abusive investigations and that police and the government have “unfettered access to call records and intercepted phone calls.” She says even the citizen’s protections that exist on paper are systematically ignored, and that one of the justifications the Ethiopian government gives for operating at such a level is the ongoing war on terror. Essentially, the Ethiopian government has learned it can do whatever it wants in surveillance, as guided by the precedent set by the United States. As a fighter of “terrorism” and an ally of the United States, Ethiopia is afforded certain opportunities in the international market. The country has been able to acquire server access and spyware technology from western countries. Hacking Team (Italy) and Gamma/FinFisher (UK/Germany) are two companies the HRW report identifies as being compliant in the country’s efforts. There is no specific evidence of US software or servers being used in the surveillance, but it certainly wouldn’t require a stretch of the imagination. “Trade in surveillance equipment is currently unregulated at the international level,” Wong told me. She believes that the world community needs to instigate regulations on the trade and selling of surveillance equipment around the world, as to protect the investigation of human rights abuses. She thinks the EU needs to take control of where this equipment is going so it doesn’t end up in the wrong hands. “The U.S. really needs to reconsider Ethiopia as a strong African ally,” Galperin says. A country with such a tattered history of abusing its own citizens and turning a blind eye to censorship should not be a country we put support behind. The United States is obviously a country that should be concerned with terrorism. However, when the goal becomes getting away with whatever you can under the umbrella of fighting terrorism, it becomes a serious problem, Galperin adds. Surveillance of phone calls, emails, and texts makes sense when you’re investigating a Taliban leader, but is it walking on thin ice when it’s a tech support guy? Possibly. Just not in Mexico. Posted by cybereth on Apr 7 2014. Filed under News, Views and Opinions. You can follow any responses to this entry through the RSS 2.0. Both comments and pings are currently closed.